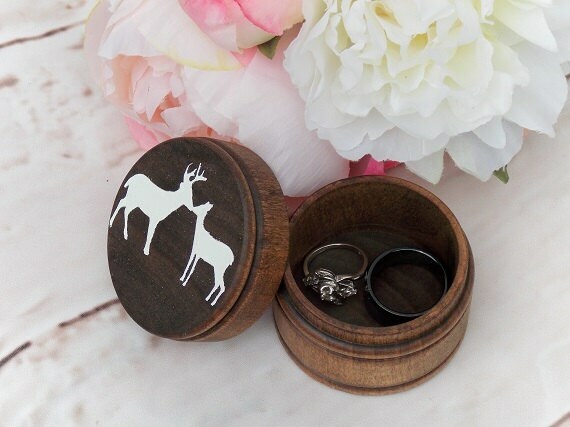 This listing is for (1) medium size round wood ring box. 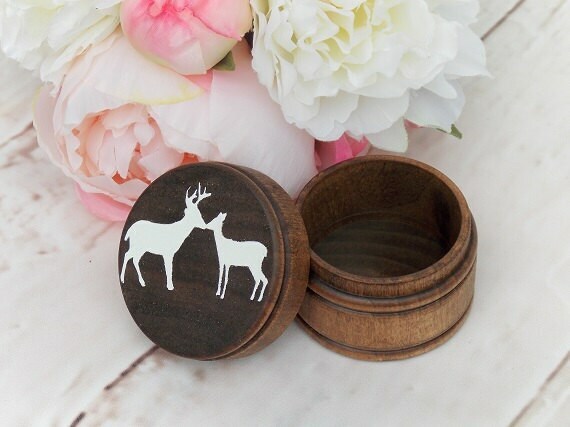 ♥ A dark walnut finish. 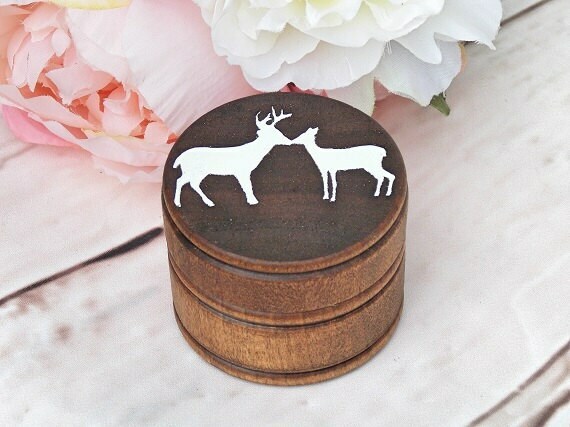 ♥ Kissing Buck and Doe done in white vinyl. 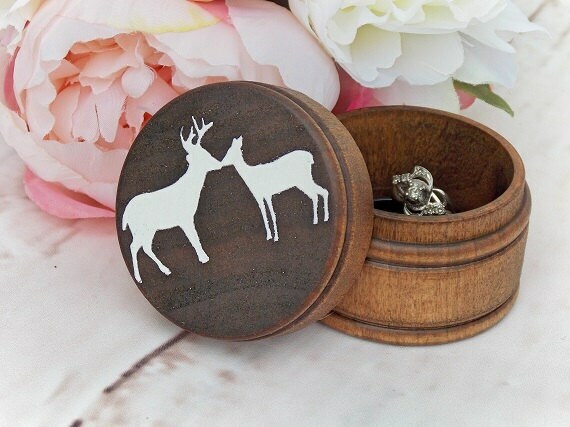 Cute wedding Ring Bearer box and ring keepsake box.! Wow! Absolutely gorgeous! And it still smells like stain 😊 I can't wait to use it for my wedding and for pictures. 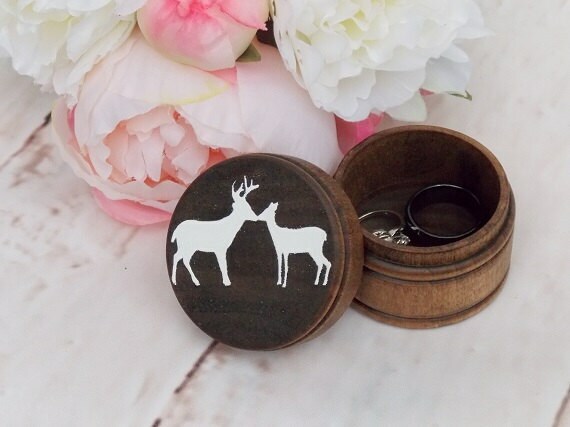 I will use it always to keep our rings safe when not worn. Amazing job!